We held on to some rocks on the side of the narrow trail and looked up praying that nothing would fall on us. Luckily, we were in a forest area, whereas in the trail ahead we could see several massive landslides. At the moment, we didn’t know that it had been a big quake. It definitely felt different from the small tremors we had been experiencing for the last two weeks, but it was also the first one that caught us hiking, and it was hard to calibrate. 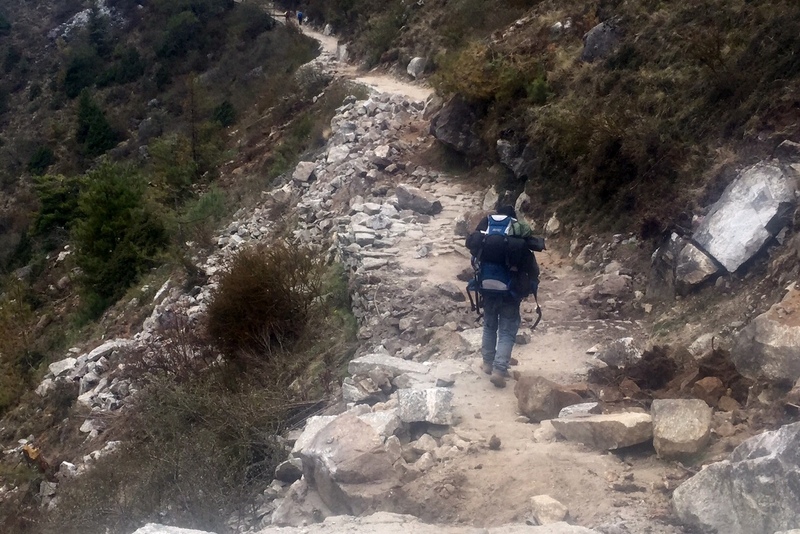 It was only as we continued hiking and saw the cracks and landslides on the trail, ran into a few other hiking groups that were receiving news on satellite phones, and finally reached Namche, that we realized what had really happened. The people in the villages we passed were freaked out, hanging out in open spaces, as we had seen two weeks earlier in Kathmandu. 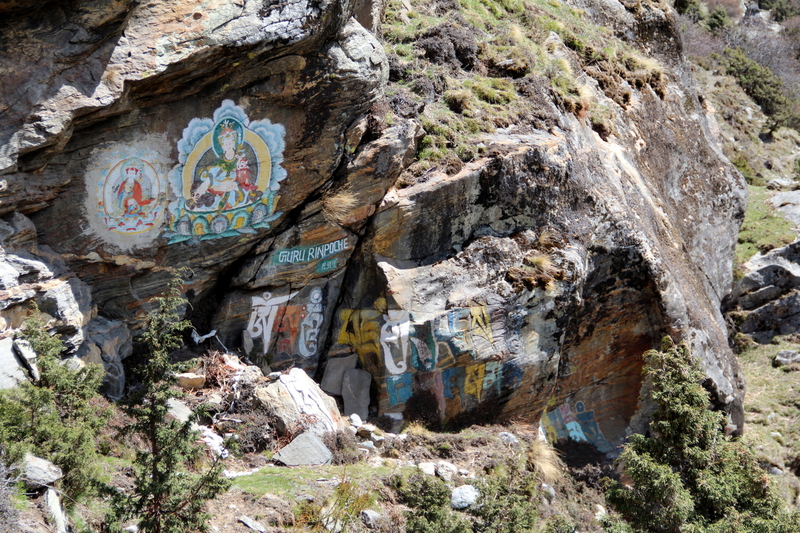 In Namche, all the businesses were closed, and the whole town seemed to be congregating in the school and market areas, setting up improvised camping tents. We decided to sleep inside, believing no aftershock would knock down the teahouse we had previously stayed at, which had survived all these days without any cracks. It was a tough night, with several tremors and some hungry stomach growls (no food was being served, so we munched on our snacks one last time), but eventually we passed out due to the effort from the previous days. 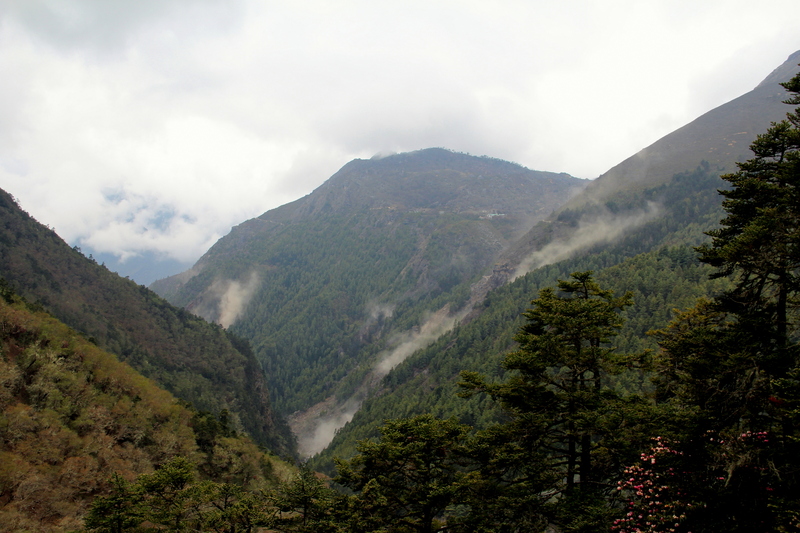 The next morning, we woke up very early and hiked the rest of the way out to Lukla, almost 6 hours non-stop and on empty stomachs, being as careful as possible. 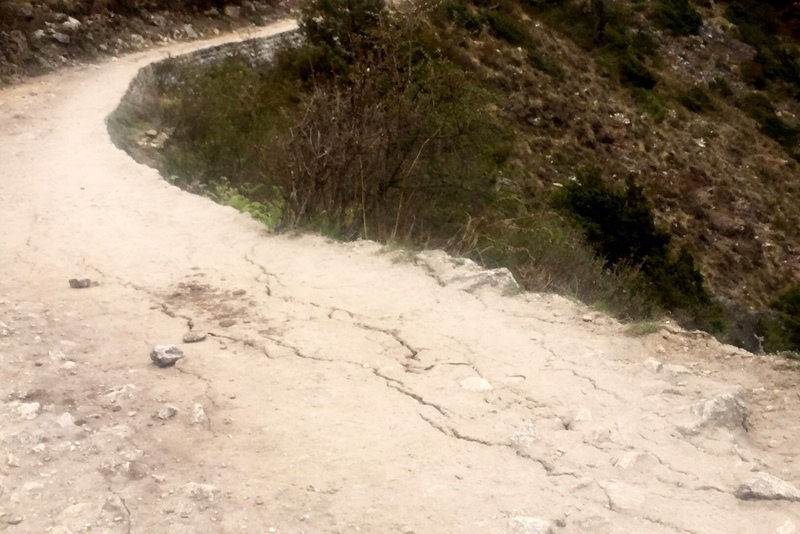 This last earthquake seemed to have caused more damage to some Khumbu villages and trails than the previous two, the epicenter being closer. It was definitely the nail in the coffin of the spring season; most teahouses were shutting down due to lack of trekkers. Here’s to hoping that the crowds will return in the fall, giving the region a much needed boost. On my part, I can say that I absolutely LOVED the experience of hiking to the EBC, I would put it at the top of the list for anyone who likes the outdoors and/or a good challenge. PS: The quote that headlines this article is borrowed from Ed Viesturs, the first American who climbed the 14 eight-thousanders and author of “No Shortcuts to the Top”. His book, together with Jon Krakauer’s “Into Thin Air”, Anatoli Boukreev’s “The Climb”, and many others, inspired us for this trip, and are mandatory reading for anyone thinking of coming to the Himalayas.